Although parents will look forward to a holiday, they may feel anxious about flying with young children. 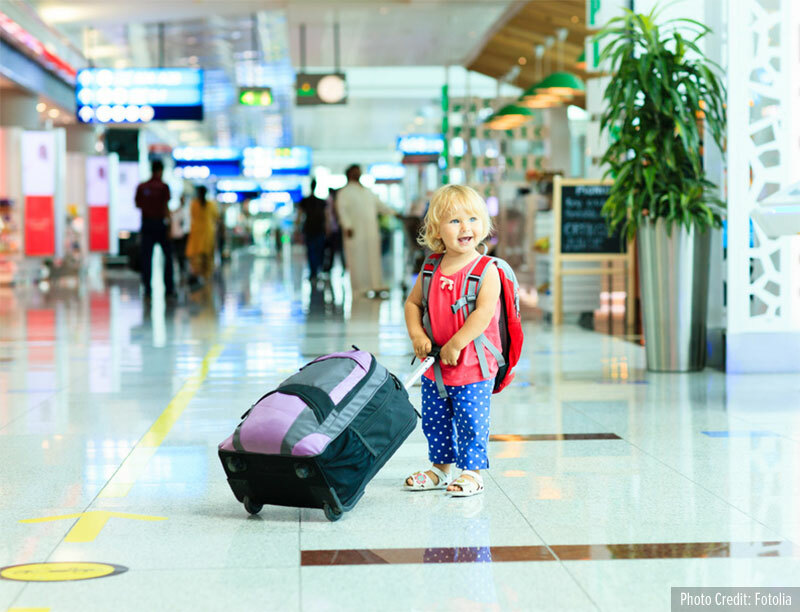 Being prepared when flying with a toddler is key, therefore here are some handy tips to help you get through a flight. Invest in a Trunki – Although Trunki’s are expensive, it can be a great way to keep your kid entertained while waiting in long queues. The straps on the bag will help you pull you kid along, saving you time and letting your kid get a bit of rest before the flight. Plan your flight in 15-minute slots – If you have a three-hour flight, you will need to entertain your child for most of the flight. Look at packing your kid’s favorite magazines, drawing books, snacks, and toys to entertain him between meals and sleep. Give them presents – Every half hour or so give your child a little gift so that they can spend time opening it and playing with it. Your gifts don’t have to be expensive, just ensure that they are not too noisy or bulky. Download some kids’ games or apps – Download some kid friendly apps and games that will keep your child entertained while they board. You can invest in child-friendly headphones so that your child can enjoy his/her game with sound.